What a unique bike! 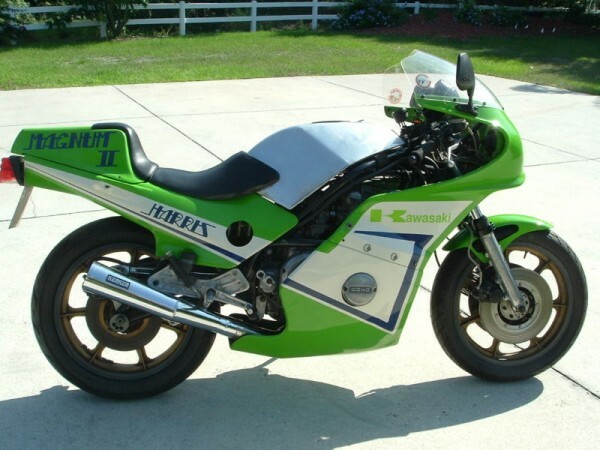 As a fan of RG500’s I was aware of Harris framed RG’s and the fact that they ran Suzuki’s WSB effort in the mid 90’s. Once again though, I’m learning there is much more to be learned. Harris made (and still makes) a lot more than frames for RG’s. Here is a link to the frame kits they currently offer. The Harris Magnum was Harris’s reaction to owners of the F1 frame kits and the endurance kits putting them on the road. The Magnum 1 was basically the endurance kit with bodywork and lights and called a magnum. 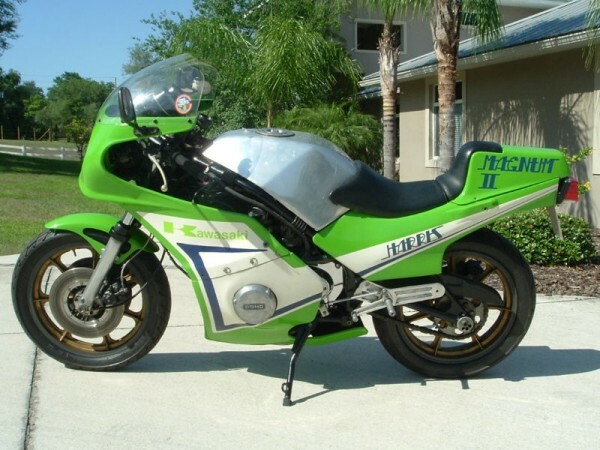 the Magnum 2 was the same bike with bodywork designed by “Target” who also designed the Suzuki Katana. 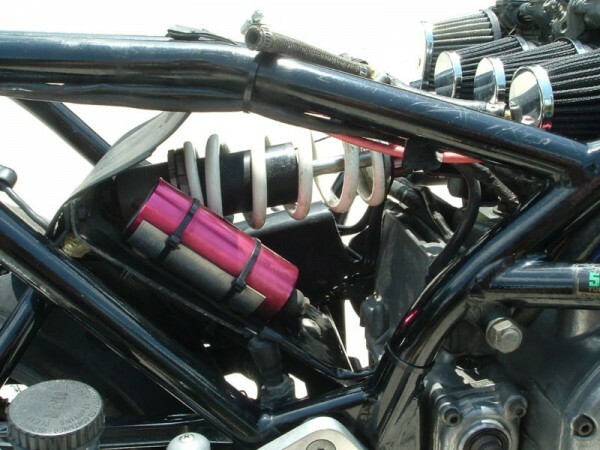 Later mk2 kits had proper subframes with the battery box mounted in the frame instead of in the fiberglass seat. The Magnum 3 was Harris’s first attempt at a real road bike. Many thought it a little understated in the styling department and they sold less than 50 worldwide. In answer to this the Magnum 4 was produced with styling borrowed from the successfull Mk2 and suspension borrowed from the superior handling Mk3. Last in line was the Mk5, but by the time the Mk5 was produced the Japs had such fine handling machines that their was really no reason apart from styling to produce such a kit. Harris have not produced a frame kit for some time. If you were curious they still make Magnum frames but only for some Suzuki engines. 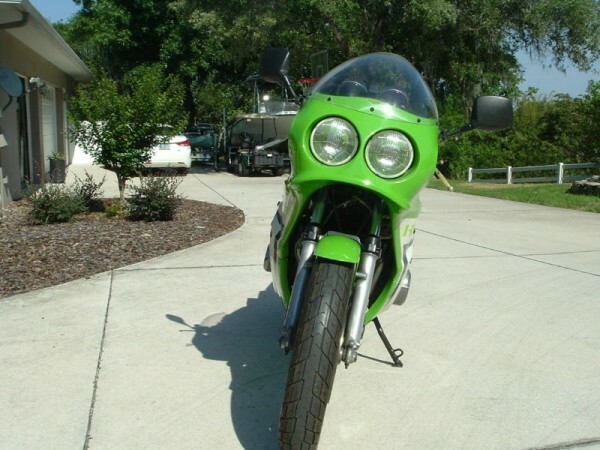 So if you are a Kawi guy then it’s time to bid. 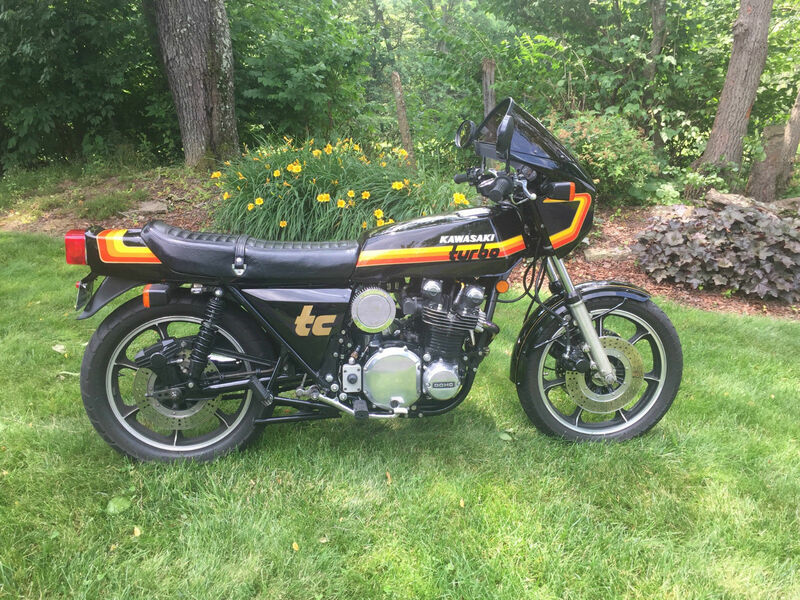 Up for bid is a very,very rare original Harris Magnum 2, This bike was manufactures in 1973, but was built using Z1 and KZ parts. Engine vin# is Z1E 122487. 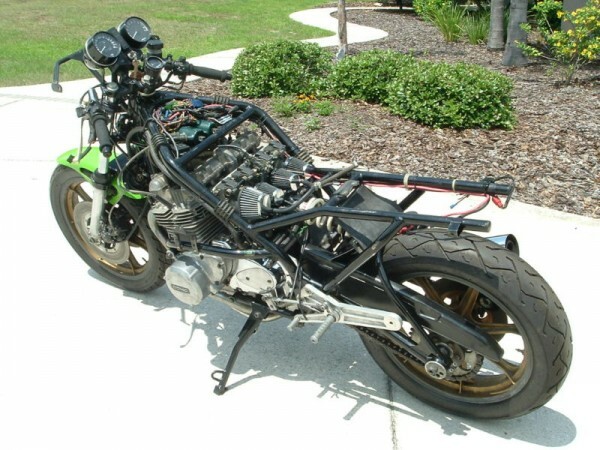 This is a true street legal endurance race bike. 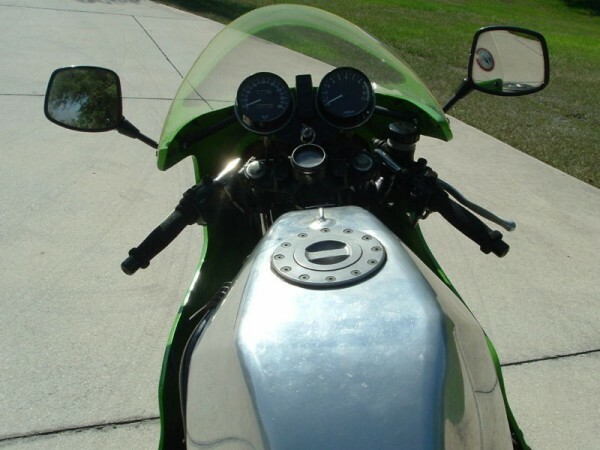 While I have owned this bike I inspected the cams changed the oil and filter. I also installed a new Dyna ignition including 3.0 ohm Dyna coils. 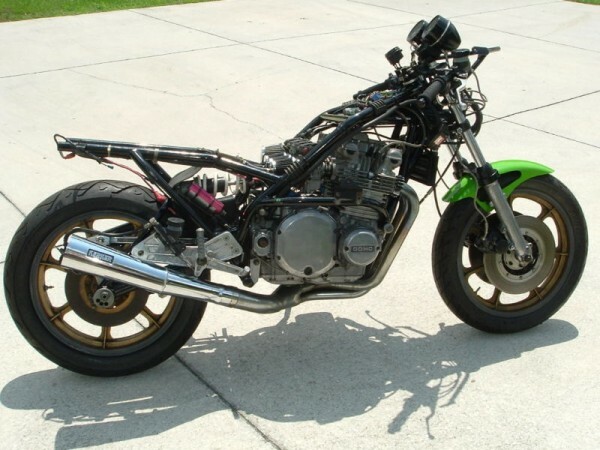 unique items on this bike includes a single shock rear suspension, I believe a rear Fox shock, morris magnesium rims, harris rear sets, full set of undamged harris fiberglass fairings, 36mm mikuni carbs, new Avon super venum tires, lockhart oil cooler, manual cam chain adjuster, A very rare twin plug head, this might be a “pappy yoshimura” head?, after market race cylinder-bore size unknown, clip-ons, street legal, kerker header, The miles on speedo are unknown. I’m sure there are items not listed above, and some I might have forgot and others I just don’t know about. Here is a chance to own something you will probably never see again. Ride to bike night,park it in your living room and drink a beer while sitting on it, our vintage race. Now that is a seller with some smarts. He gives you options: ride it or have a beer sitting on it in your living room. In all honesty it looks like it would be a fun project to restore to its’ former glory. What do you guys think is a reasonable price? I frankly have no clue. I would think it would sell easily if the seller hasn’t set the reserve unreasonably high. It is rare, no doubt about that but how much will you pay for that rarity. Time will tell.